Honke Owariya first began as a confectionery shop. In 1465 during the Muromachi period, Owariya left the Owari region (in Nagoya) and opened its business in Kyoto as a confectionery shop. It was not until the mid-Edo period that we started our business as soba restaurant, when soba-kiri (origin of soba noodles) was served at Zen temples in Kyoto. Soba-kiri was brought to Japan from the Chinese continent by Zen trainee monks and was made at Zen temples in Kyoto. Soon temples could not keep up with demand, and confectionery shops in the city, who had kneading, rolling and cutting techniques, began to take orders for soba-kiri and other noodles. It is said that Owariya, too, supplied soba to many temples beginning around 1700, at the time of our founder, Denzaemon Inaoka. Later, Owariya was designated as the “goyo-soba-tsukasa (purveyor of soba noodles to the Imperial Palace. )”* Between the manufacture of Japanese sweets and the production of soba Owariya has been serving the people of Kyoto for nearly 550 years. *goyo-tsukasa refers to shops that were approved to enter the Imperial Palace in the late Edo period. Later in the Meiji era the title was changed to “purveyors to the Imperial Household Agency”. Confectionery and soba – they are the two pillars of Honke Owariya. From appearances, many get the impression Owariya is just a soba shop, but we were originally a sweets shop. It is written in historical documents that our ancestors were “summoned by the Imperial Highness” to relocate to Kyoto. The famous soba rice cake, which Owariya is known for, is said to be invented by the 13th generation owner from around the late Edo to early Meiji periods. Formerly, the round shape itself was generally referred to as rice cake, and this appellation has continued to the present day. However, rice cake doesn’t refer to sticky pounded rice cake or rice flour. Rather, it is more of a bun baked in the oven with red bean paste wrapped inside a skin made of mixed and buckwheat flour with eggs and sugar added. This simple soba rice cake with a little sprinkle of black sesame on top was most likely the first confectionery made out of soba flour. Its simple taste and ingredients became so popular that there was a saying in Kyoto, “When it comes to soba cakes, nothing beats Owariya.” They became a vital part of Kyoto’s everyday life as a gourmet snack or souvenir to bring to a gathering, especially for temple visits and yotogi-mimai (a gift brought to Buddhist vigils to express condolences). Although standard these days, individual wrapping for each rice cake began with the 13th generation owner. In addition to soba rice cakes, soba-ita and soba-boru compose the three soba sweets Owariya is known for. 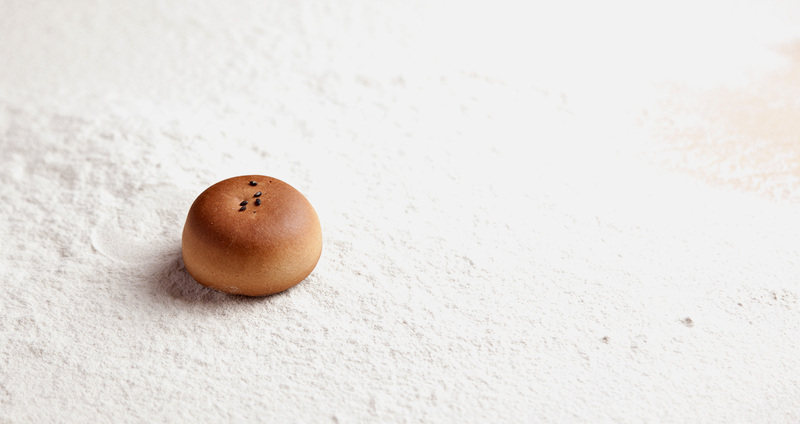 All of them are plain baked sweets made of simple ingredients, and are made in the same building where soba noodles are prepared in the kitchen of our original shop. There is a certain image that udon noodles are more popular in the Kansai region of Japan, while soba noodles are more popular in the Kanto region. Thus many may be surprised by the connection between Kyoto and soba. But this bond does exist and it is due to Zen culture, and the purveyors of soba that had once been confectionery stores, such as Owariya. Soba has existed in Japan since ancient times, but it was not until the Muromachi period that it was eaten in a form of noodles called soba-kiri, after the techniques of milling and noodle making became widespread. In the 13th century, a monk named Shoichi-Kokushi crossed the ocean to Song dynasty China and brought back noodles and sweets to Kyoto. A drawing of a milling machine was found in Tofuku-ji, a famous zen temple Shoichi-Kokushi established in his later years, outlining the milling of buckwheat flour and kneading techniques. It is said that noodling demands soon became too much for temples to handle alone. Confectionery shops in the city, who had kneading, rolling and cutting techniques, began to take orders. In this way, soba culture developed in Kyoto side by side with Zen and Buddhist temples. After relocating to Kyoto, Owariya, took soba orders from temple priests, not to mention the esteemed honor of delivering soba to the Imperial Palace. It is said that “soba-kiri originated in the Shinano region,” but it may have indeed come from Kyoto. Some guests might hear the chanting of Buddhist sutras when visiting Owariya’s original shop. Every month, a monk from a Zen temple visits the shop and chants a sutra. 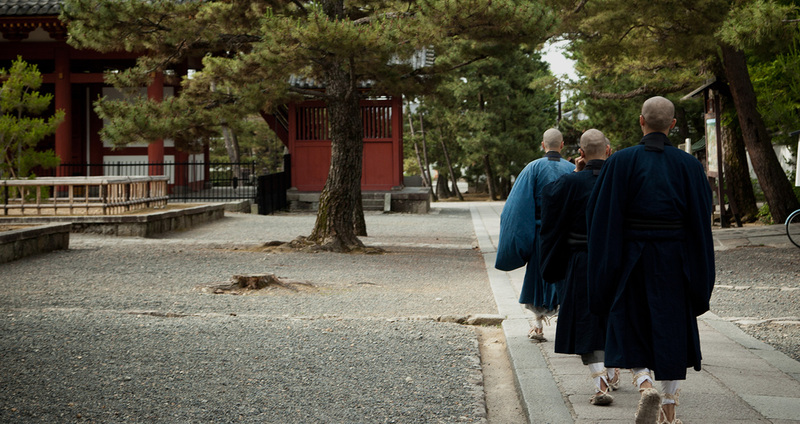 It is a custom that after chanting, the monk picks a soba dish of his choice. This is meal is called tenshin. The relationship between Zen temples and Owariya goes back to the Edo period, especially with priests of the Rinzai sect of Zen Buddhism. Our 12th generation owner was very devout, attending Zen meditation sessions at Shokoku-ji temple. Owariya’s relationship with three important temples – Shokoku-ji, Kennin-ji and Myoshin-ji – continues, and, every month, Buddhist sutra chanting is held for our ancestors. Also, Owariya delivers soba for tenshin at various ceremonies, such as Rikyu-ki (the anniversary of Sen no Rikyu’s death) as well as at the gardens of Daitoku-ji temple. While soba became popular in the Kanto region, especially in Edo (Tokyo), as a local dish for commoners, in Kyoto, soba was associated with tenshin and temple food culture. It is even said that when Zen monks meditate or practice in seclusion, they take with them a handful of buckwheat flour. Soba is essential to Zen culture as a nourishing food helping to maintain mind and body. Soba brings us luck. The ideas of 14th and 15th generation owners are embedded in horai. Owariya might be the oldest soba shop in Kyoto. The first Denzaemon Inaoka*, branched out from confectionery to soba around 1700 in the mid-Edo period. However, it was only after World War II that we became a restaurant with the various menu items available today.  *Denzaemon Inaoka is the traditional name assumed by the head of the restaurant. In the early Meiji period, Owariya relocated from east of Ayanokoji/Muromachi streets to south of Nijo/Kurumaya-cho streets, where it stands today. The 14th generation owner, two generations before the present owner, started a full-scale restaurant serving soba. The 15thgeneration owner took it upon himself to renovate the second floor of the family home to accommodate the restaurant's growing popularity. Adding three new restaurants between them Owariya's soba has become an institution in Kyoto. The intention of the 14th generation owner to serve soba as an auspicious food can be seen in the store curtains, tableware, and matches that have incorporated the takara design. There is also what has become our signature dish, horai-soba, conceived by the 14th generation owner. We hope you take the opportunity to try horai-soba at our original shop. *There are various other theories for the origin of misoka-soba (New Year’s Eve soba): to wish longevity and prosperity for the family by eating fine, long soba noodles; in Edo period, merchant households were busy on the last day of the month collecting bills, so they ate soba because they were able to eat them while standing, this custom becoming emblematic of New Year’s Eve; and in the Kamakura period, at the end of a year when there was a drought, soba rice cakes were handed out to people at Shoten-ji temple, calling it yonaoshi-soba (world reforming soba). yoto’s water is the secret behind the takara (treasured) flavor. This is a flavor that can’t be made anywhere else. 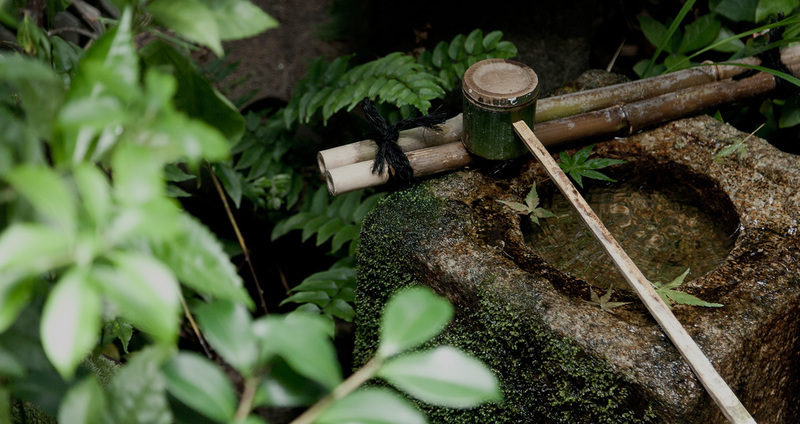 Tofu, yuba, nama-fu – there are many foods that depend on the clean underground water abundant in Kyoto. The first on the list is dashi (soup stock). Owariya’s dashi, too, depends on Kyoto’s pristine well water. It is thanks to the purity of this water that we could do business in this city and continue to make soba for so many years. Since old times, Kyoto has been rich with underground water, and it is said that the reserves of water that run down from the mountains that surround the city from the north, east and west, equal in volume to that of Lake Biwa, Japan's largest lake. The water at Kuramaya-cho/Nijo (our main restaurnt), an area south of the Old Imperial Palace, belongs to a water system connected to Mt. Hiei. At present, water pumped up from a 50-meters deep well is first filtered by mineral-rich stones (bakuhanseki) and used every day to make our dashi, our soba noodles, and our sweets. For dashi, which is the soul of Kyoto cuisine, using rishiri konbu (kelp) is essential. Although it is possible to make a clear dashi from rishiri konbu, Kyoto’s mineral water has a hardness degree of 50, making it particularly effective in bringing out rich dashi. At Owariya, we create a subtle tasting dashi through a combination of rishiri konbu, mejika (frigate tuna), round herring, and dried mackerel. The 15th owner of Owariya was particularly interested in water, and treasured it. Although we have two branches besides our original shop – at Takashimaya , Shijo – one condition to opening these branches was that they “must use water of the same quality as the original shop to make their dashi.” This was the case when Downtown Kyoto's Takashimaya branch was remodeled: the head of the department store was persuaded to pump the well water up to the seventh floor of the shop. Although there is no water well in place at the Shijo branch, dashi is delivered everyday from our original shop. Because of this, it has become possible for us to provide the same taste at all of our branches. Not only utilized for the composition of dashi, underground water is also used to knead and boil soba. This special water produces a smooth surface on soba after it's kneaded, and the perfect texture after boiling. Furthermore, at our original shop, well water is used to produce sweets. Before sourcing fresh ingredients and having skilled chefs work with them, this all begins with good water. Kyoto cuisine is about being in harmony with nature. It’s important to offer something authentic to our local community. 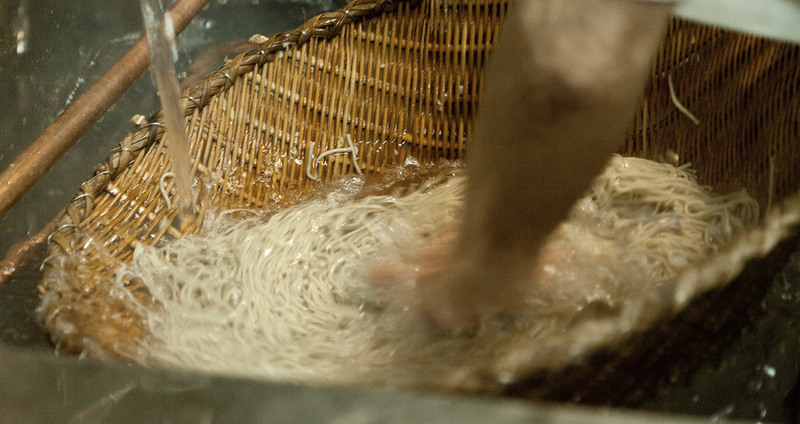 Creating a consistently delicious flavor is at the heart of our soba-making at Owariya. O shop and three ur high-quality soba noodles are machine-made each morning. At our original shop and two branches in central Kyoto, we prepare some 1,000 soba meals, as well as approximately 2,500 fresh baked rice cakes per day. Here we introduce the soba ingredients used at Owariya shops. The buckwheat flour we use for our soba noodles are of the highest quality, originating from contracted producers in Otoineppu, Hokkaido. 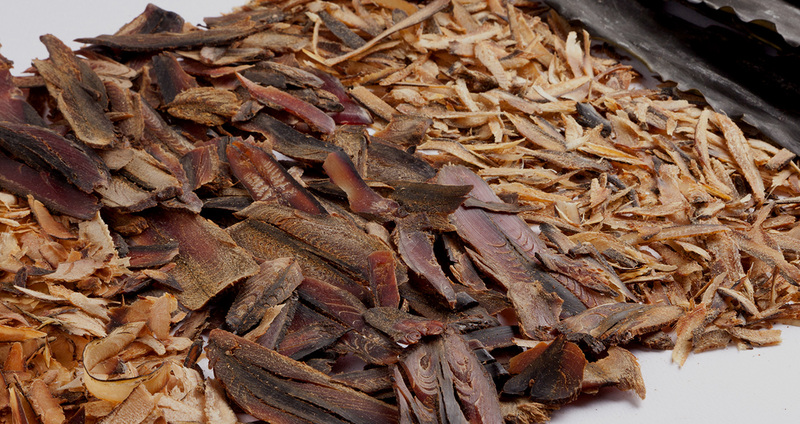 Ingredients for our dashi include only rishiri konbu, mejika (frigate tuna), round herring, and dried mackerel; no artificial additives are used. For our confectionery, we use domestic buckwheat flour and azuki beans from Tokachi, Hokkaido. In order to secure a steady supply of the best ingredients possible, we have built a long relationship with our contractors. A common phrase of our 14th and 15th generation shop owners was, “The most important thing is to first make a shop that locals love.” And in order to build a shop which people can visit daily, we should aim to “make dining affodable, cook in earnest and not chase profits. Try to have as many people enjoy your food as possible.” In this way, we have cherished the spirit of “small profits and quick returns”. “Having ‘Kyoto time’ flow inside of you.” Realizations of a photographer who looks out to the world. In 2014, Ariko Inaoka, daughter of the 15th generation owner Denzaemon* Inaoka, became the 16th generation shop owner of Honke Owariya. Before returning to Kyoto in 2009, she visited many countries around the world, active as a photographer based in New York and Tokyo. Currently, she is working as both the shop owner of Honke Owariya as well as a photographer, beginning her stewardship of a franchise with a 550-year history. But why has she chosen to return to the old capital of Kyoto to take over a long-established shop after being an internationally active photographer? "I was born in Kyoto and was raised here until I was seventeen years old. Thereafter, I went to America to study art and photography in San Francisco and New York before starting my career as a professional photographer. This was probably influenced by my mother, who studied in Paris in the 1960s. I have wanted to live abroad since I was a child, taking in unknown worlds and meeting all kinds of people. It was while working on a project in Iceland taking landscape photographs that my interest turned homeward, to Kyoto. I was fascinated with Iceland’s desolate landscapes, the water, rocks, and moss, so I shot a series under the theme of “water”. Water evaporates into the air, rises up to form clouds, only to fall back to earth as rain. By capturing moments of this cycle, you feel the power of what cannot be seen, and, at the same time, it occurred to me that we are alive because of this power. That perception awoke the roots that had been dormant deep inside of me. Indeed, water, rocks, and moss were also found in the temple garden landscapes I saw growing up in Kyoto." The vast nature of Iceland and the temples of Kyoto – feeling herself as part of a microcosm, Ariko Inaoka recognized this “Kyoto time” flow, and, honoring her roots, she returned to her origins. 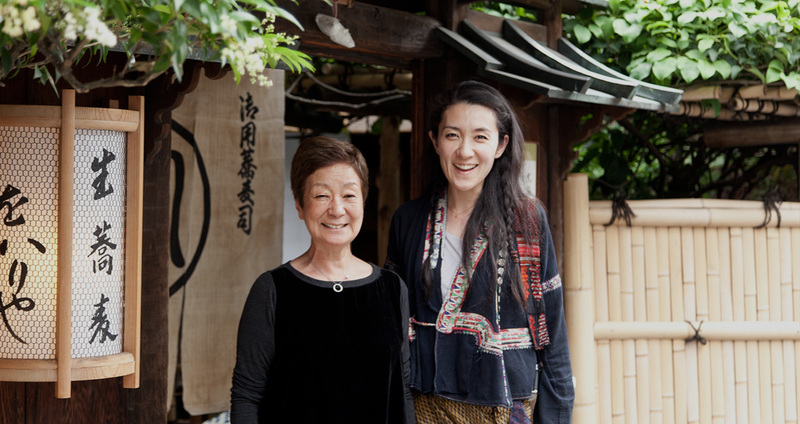 Taking over the family business she realized Honke Owariya meant another opportunity to explore herself and better understand her ancestors' traditions. And, importantly, that both photography and Kyoto’s traditional food culture can be creatively inspiring enterprises. Although it has only been a short while since she returned to Kyoto in 2009, it was enough time for her to work with her grandfather, the 14th generation owner, and her father, the 15th generation owner. "It is because we have sustained tradition while changing with the times and taking on new challenges that we could have a 550-year history. This is something I learned directly from my father and grandfather. I take seriously the responsibility of running the family business, never forgetting our history, and deepening our connection to Kyoto." Being in charge of a historical shop in Kyoto, while working as a photographer at the same time, the 16th generation owner is slowly beginning to make her own mark. * From the mid Edo period, the shop owner has taken the name Denzaemon, and successive generations have taken it as a professional name. The 16th generation will work under her given name, Ariko Inaoka. © Honke Owari-ya All Rights Reserved.